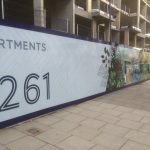 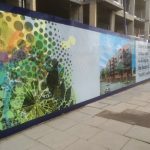 These hoardings were constructed for the Bellway Homes development at Lawrence Square in Tottenham. 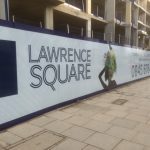 The two office blocks either side of Lawrence Road were demolished to make way for the development. 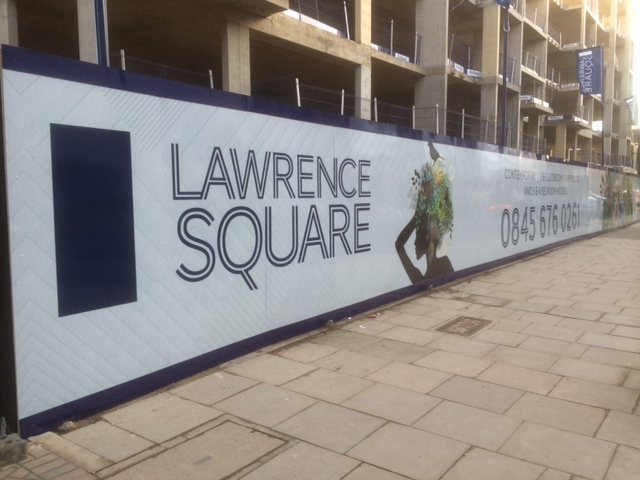 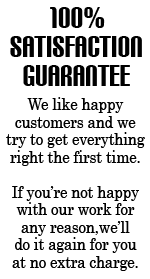 We first installed hoardings at Lawrence Square in 2013. 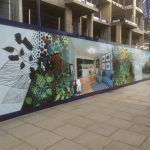 These pictures are of the redesigned hoardings for Phase II, installed 2014.